To celebrate the launch of its second PC enclosure, be quiet! 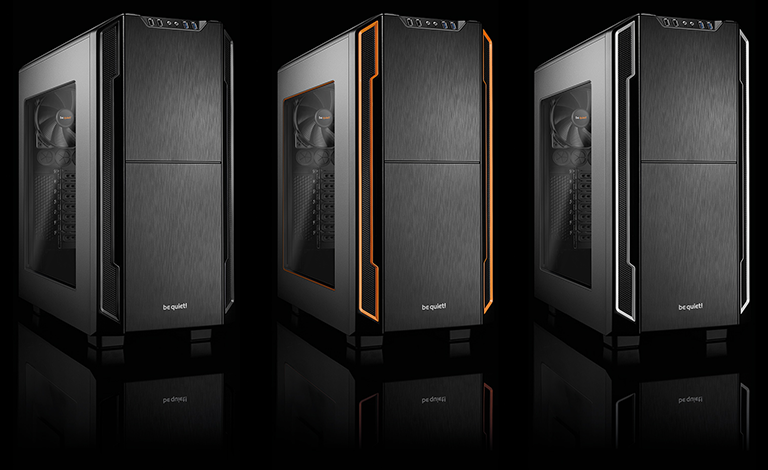 has teamed up with HEXUS to give you the chance to win one of three Silent Base 600 chassis! We'll let our winners choose a colour option of their choice (Orange, Black or Silver), with or without a side window, and we'll even throw in a free be quiet! PSU for the winner of our grand prize. You even get to pick the capacity! Silent Base 600 is available in two versions, with or without a double-glazed side panel window. True to the motto “form follows function” the Silent Base PC case series stands for the perfect symbiosis of noise prevention and cooling performance, good usability and extensive capacity for high-end hardware. Meticulous air circulation design and adjustable side panel vents provide outstanding airflow control that improves cooling while reducing noise-causing turbulence, leading to truly excellent cooling performance. Anti-vibration mounting elements and two pre-installed Pure Wings 2 fans for amazingly quiet operation; 3-step fan controller included. Tool-free mounting and generous space for advanced hardware and cable management support first-class usability. Sound good? All you need to do to enter this fantastic competition is answer the following simple question. And don't forget, you can also claim a free second entry via Facebook to increase your chances! The competition winner will be picked at random from all eligible entries that arrive by midnight of the closing date, November 8, 2015. The winners will be notified via email by November 15, 2015. The winner must claim their prize within 7 days of the promoter sending notification. If the prize is unclaimed after this time, HEXUS reserves the right to offer the unclaimed prize to a substitute winner selected in accordance with these rules. First prize is a Silent Base 600 chassis (colour options Orange, Black, Silver, with or without window) and a be quiet! power supply (choice of Straight Power 10, Power Zone or Pure Power L8 in a wattage of your choice). Second and third prize is a Silent Base 600 chassis (colour options Orange, Black, Silver, with or without window).